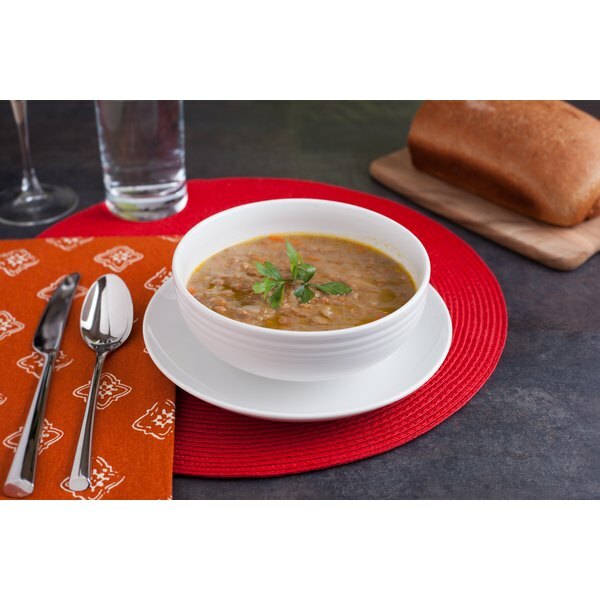 Quick-cooking lentils form the base of soups ranging from a classic vegetable soup to more exotic international fare. 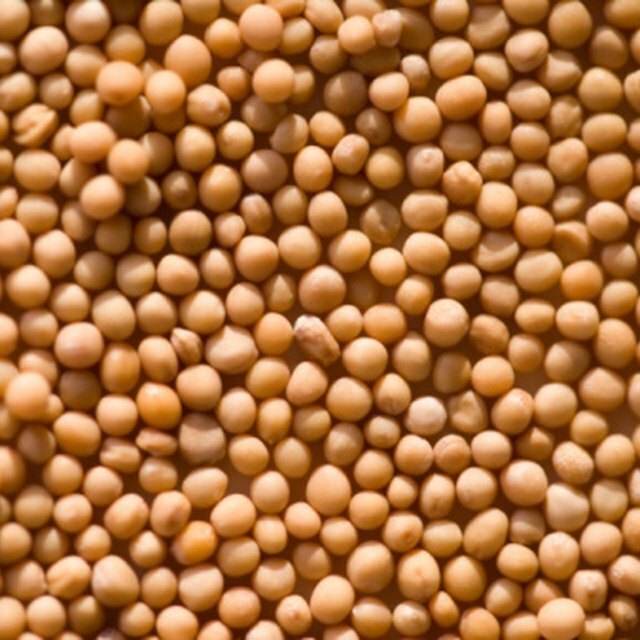 Lentil varieties include black beluga, brown, French green, red and black. Each variety has its own distinct flavor and texture, which helps guide your choice on the appropriate herbs and spices for your soup. Vegetable soups with lentils depend on the seasonings and vegetables to add flavor to the mild lentils. Black beluga and green lentils have a firmer texture, while brown lentils tend to soften and become mushy. Aromatic herbs complement the flavors in vegetable soup well, including basil, oregano and thyme. Garlic and onions add depth to the flavor of the soup, especially if you saute them lightly to release both the flavor and aroma. Paprika and turmeric add color a light smoky flavor. Although any lentil variety can work with curry flavors, the stronger-tasting black or red lentils stand up to the bold flavors better. Create an Indian-inspired dish with a combination of cumin seeds, cardamom, coriander and turmeric. Dry mustard adds color and flavor, but if you prefer a spicier curry, consider adding cayenne pepper or dried chili peppers. Garlic and green onions, sauteed lightly, also complement the flavors in a curry lentil soup. Any type of lentil works well as an Asian-inspired lentil soup base, so choose brown lentils for a soft texture or pureed soup, or firmer black or green lentils for a chewier texture. Highly aromatic fresh ginger, combined with spicy chili pepper flakes, brings depth to the soup. A mixture of ground anise, cloves, cinnamon, salt and white pepper, or a Chinese five-spice blend, provides a quick way to add Asian flair when combined with soy sauce or tamari in the soup base. Soft red and yellow lentils are often used in pureed Middle Eastern soups. Urad dal, a split black lentil, is also common because its mild flavor provides a neutral background for a variety of seasonings. Turmeric, cumin and parsley are common seasoning choices. Chopped garlic, added to the soup at the beginning of the cooking time, slowly infuses the lentils with its aromatic flavor. Mint and lemon zest provide a lighter flavor complement, while spicy cayenne and fresh ground black pepper provide a flavorful counterbalance to the mild lentils.